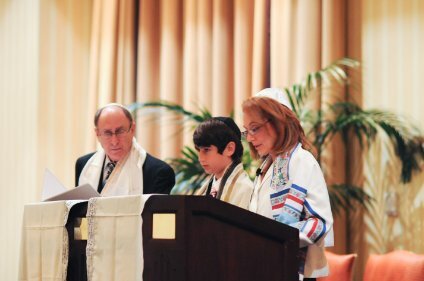 Rabbi Barry Coffsky and Rabbi Michele Selvin Coffsky offer their rabbinic services to the Atlanta Jewish community, usually for those persons and families who are not affiliated with a congregation. We officiate at Weddings, Special needs Bar/Bat Mitzvahs, Baby Namings, Special Anniversaries, Renewal of Vows, Memorial Services, and Funerals, as well as other life cycle events. We look forward to officiating at all of your life-cycle events. We do so with just the right light touch for your joyous moments, and with the compassion and professionalism necessary for your sad times. In joy and sorrow, we will be your rabbis and will be there for you. Ketubah Studio of MP Artworks www.mpartworks.com is a source for your chuppah, ketubah or interfaith marriage contract. Visitors from this (AtlantaRabbis.com)website will receive a 10% discount off any ketubah design in the Ketubah Studio collection and $50 off designs in the E-chuppah collection.